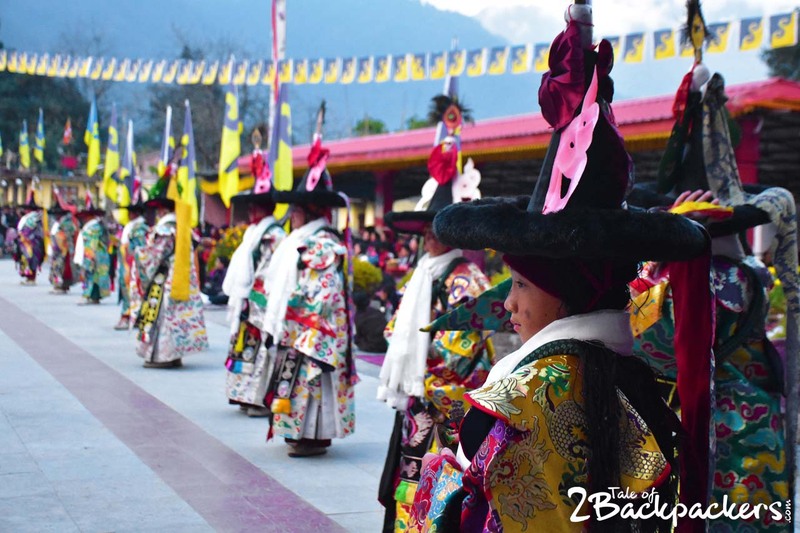 “You must come back to see the Kagyed Dance before Losoong, the Sikkimese New Year” – said the aged monk from Rabong Monastery. And it was then we decided that we would be back at Sikkim again during December. “Again in December? Were you guys not here in August for Pang Lhabsol”? Our friends from Gangtok were surprised. They even think that we should relocate to Sikkim! 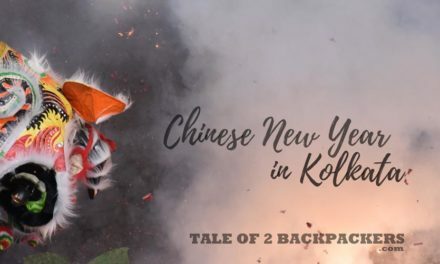 I am sure they are tired of my incessant questions about the Sikkimese festivals, dates and travel queries. But then, they are also the sweetest persons who seem to know our love for Sikkim. So this time we went to Phodong, another Himalayan hamlet that we became fond of. Tashi from Phodong was there to help and guide us. I just connected with him the previous day of our travel on facebook, and there he was all smiling to receive us as Phodong. There are so many reasons to love Sikkim. What is the Kagyed Dance? What are Shay Tho deities? 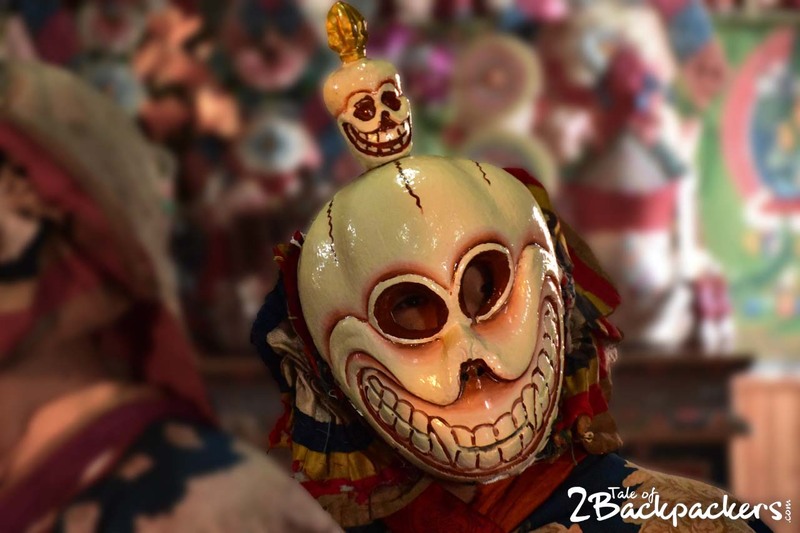 Do you want to know more about Gangtok or Sikkim? 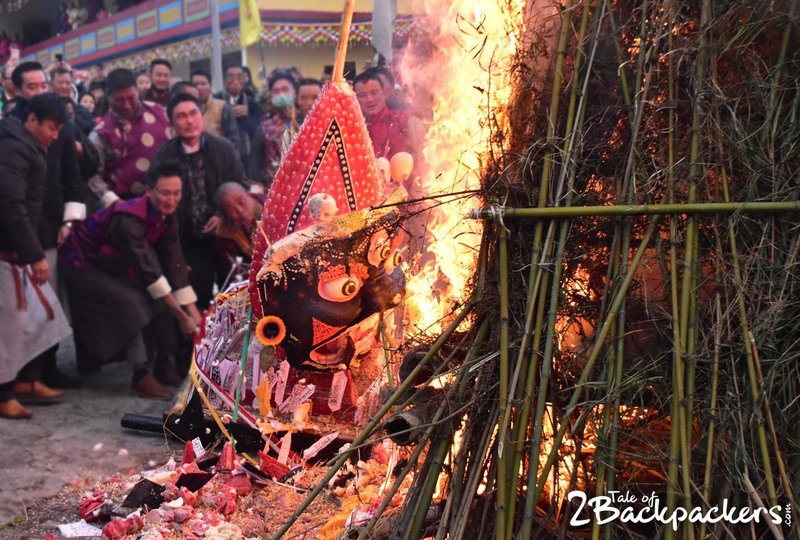 Losoong is the traditional festival of the Bhutias is basically the New Year celebration in Sikkim. 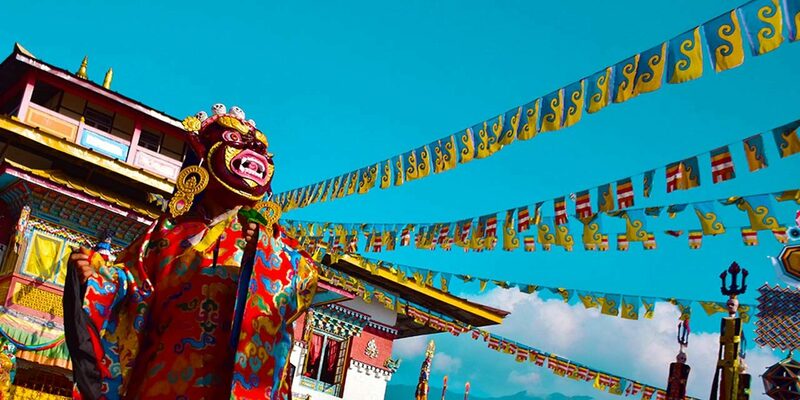 This Buddhist festival marks the end of the harvest season and is celebrated across most of the monasteries of Sikkim. 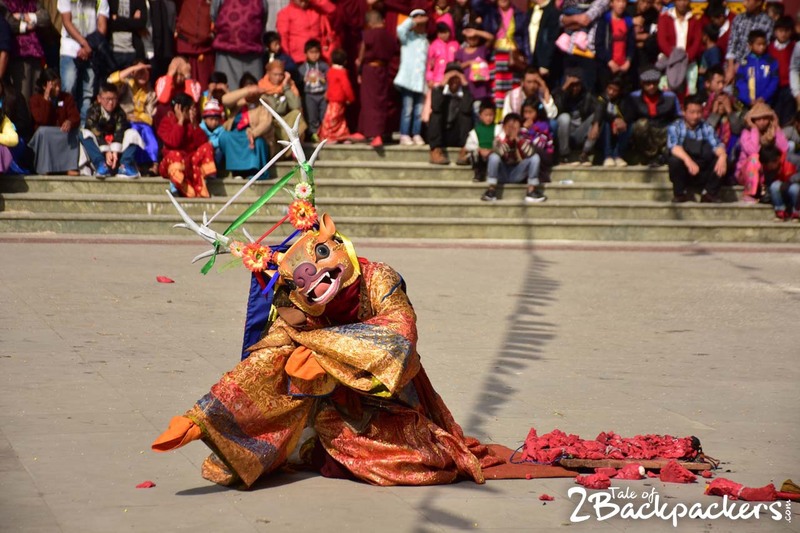 Kagyed Dance is held before Losoong, the New Year and the dance usually symbolizes the destruction of the evil forces before the advent of the New Year. 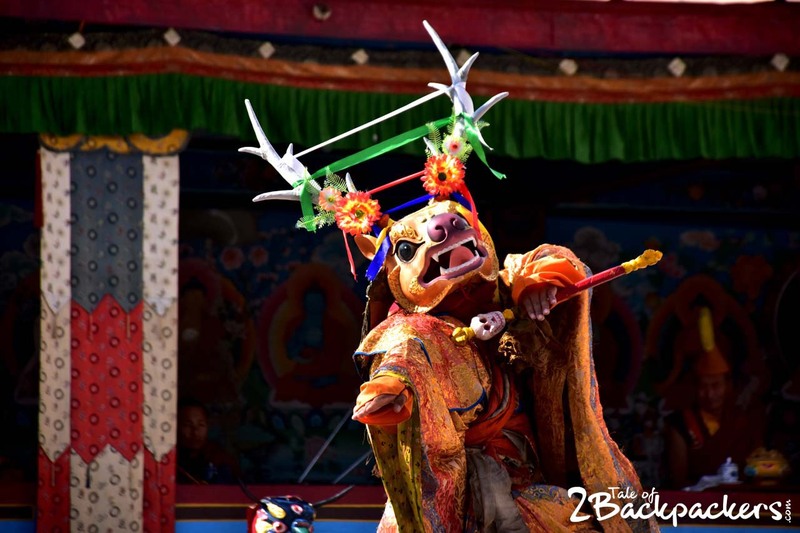 The dance is performed on the 28th and 29th day of the 10th month of the Tibetan Calendar. This day usually falls in the month of December. 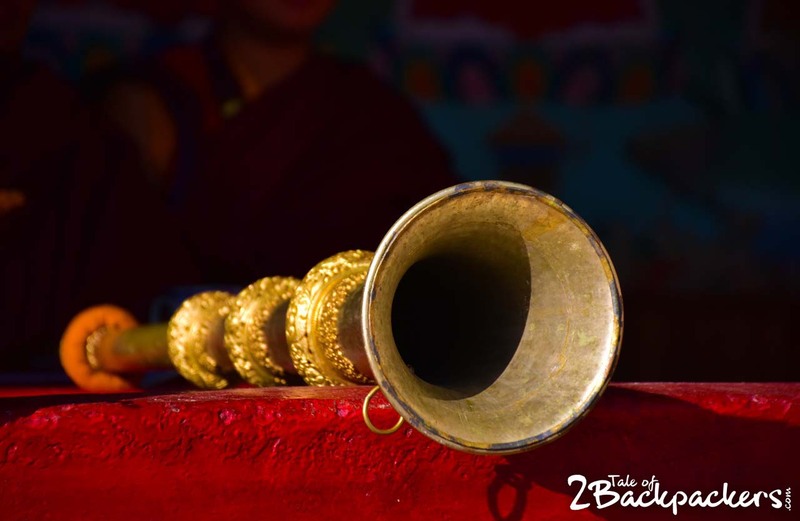 To know the exact date, you can check the Sikkim Tourism website. 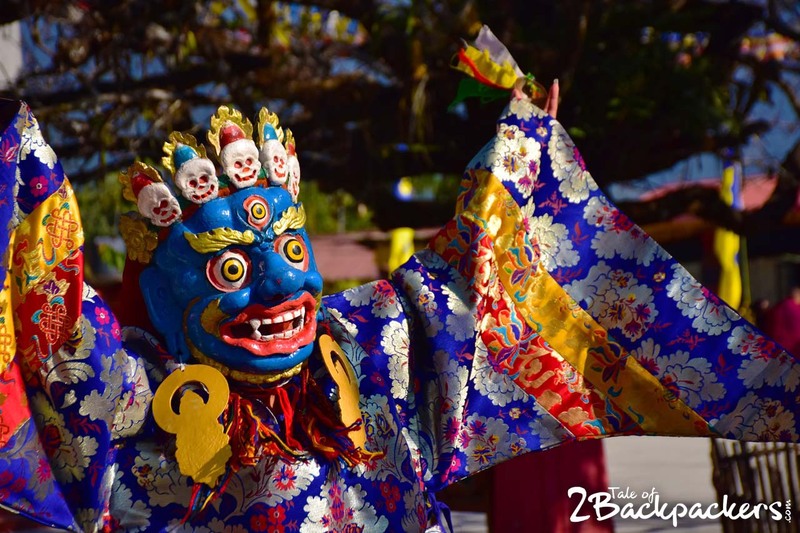 During this time, the monks usually perform Chham or masked dance to please the almighty powers. 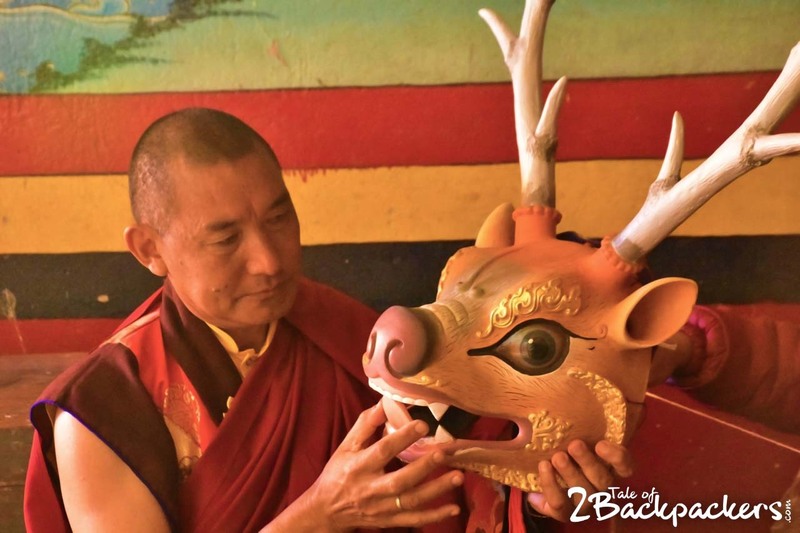 Kagyed actually means the oral transmission of the eight Tantric Gods found in Tantric Buddhism. Kagyed Chham is a word of Bhutia origin. ‘Ka’ means ‘oral transmission’, ‘Gyed’ means ‘eight’ and ‘Chham’ means ritualistic dance. 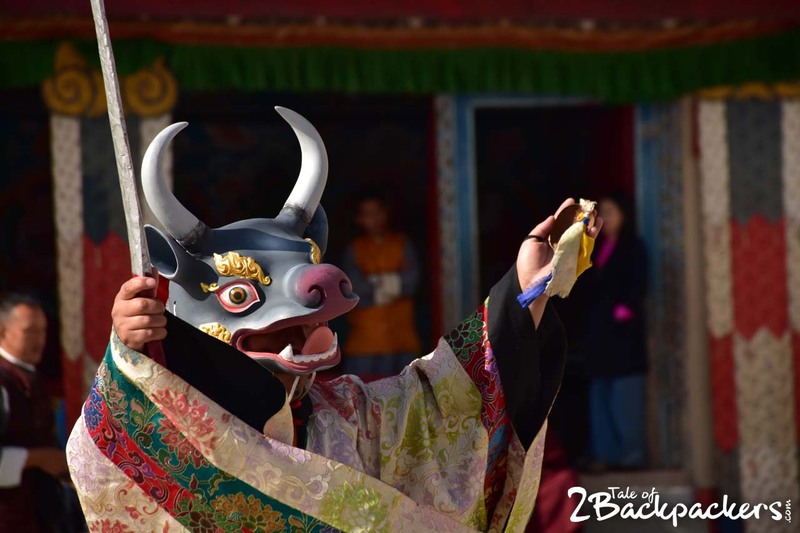 This ritualistic dance is held every year in various Sikkimese Monastery. 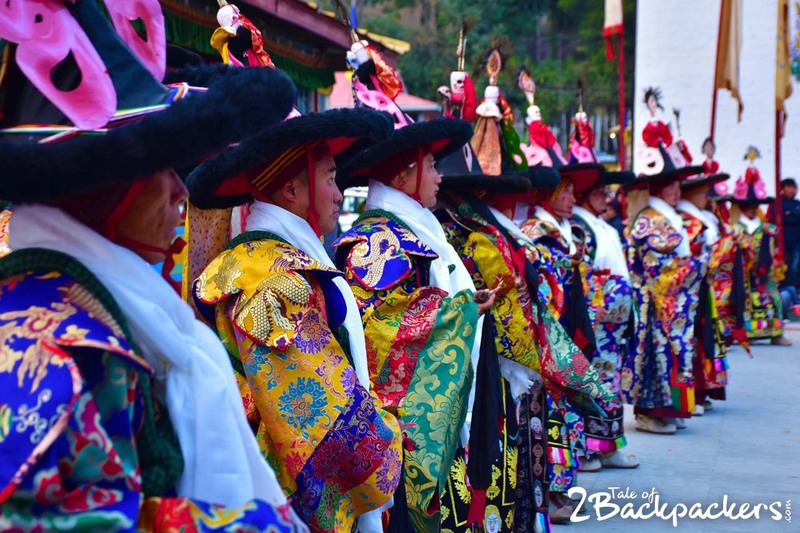 It is a time of celebration for the Bhutias as they welcome the New Year. 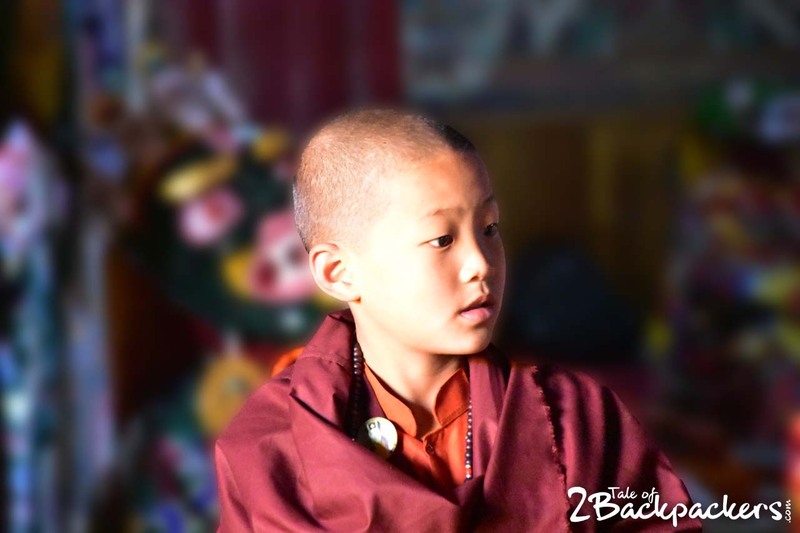 They visit the monasteries and offer prayers by lighting butter lamps and offering cash and kinds to the monasteries. 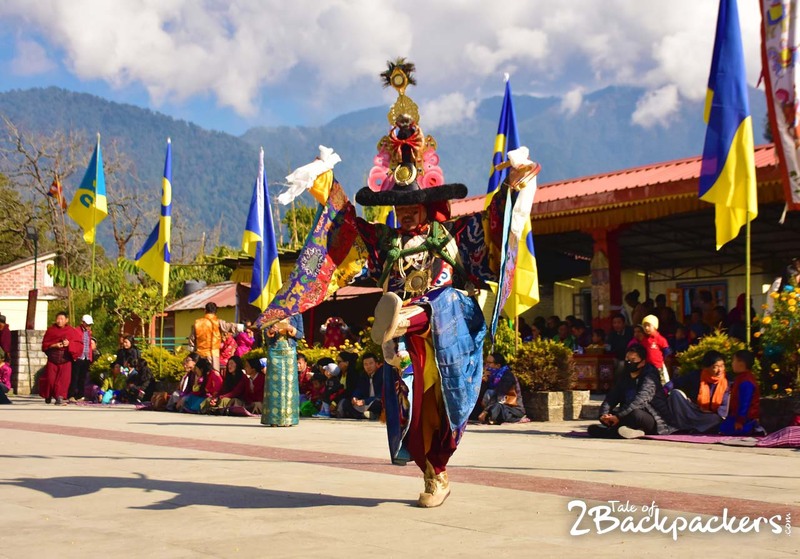 Kagyed dance is held at Rumtek Monastery, Enchey Monastery in Sikkim, Rabong Monastery in Ravangla and Phodong monastery in Phodong. 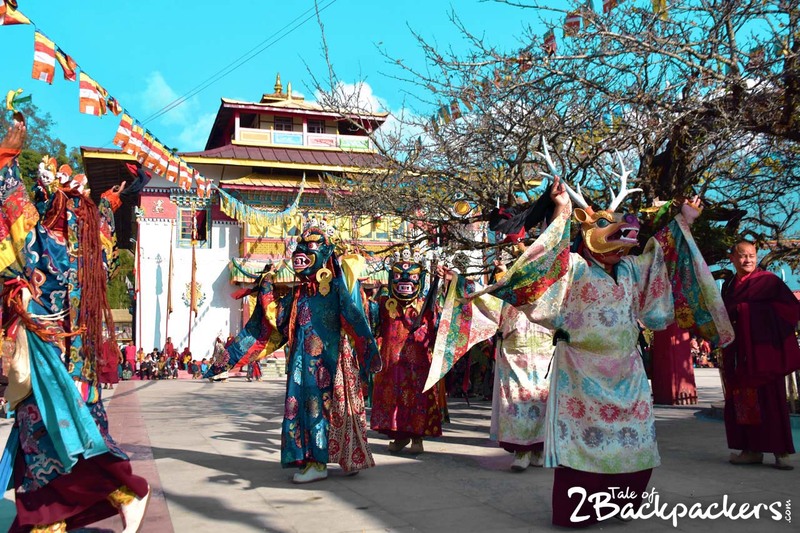 It is possible that the dances are also held in some other monasteries, but we are not quite sure of this fact. 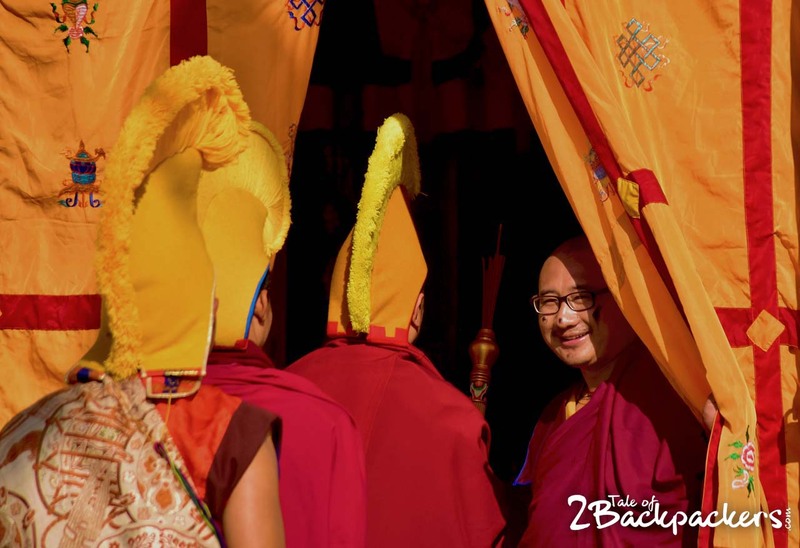 We had been to Rabong Monastery in August to witness the Pang Lhabsol. This time we wanted to visit the Phodong Monastery. 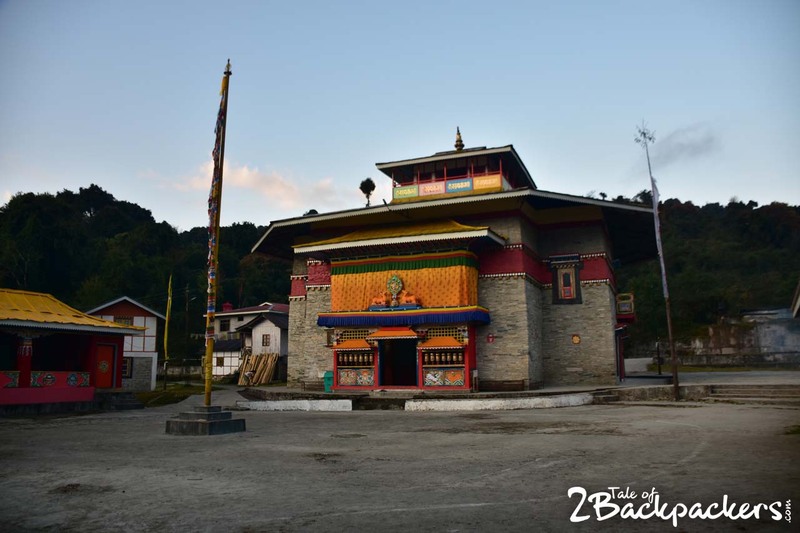 We had earlier visited this monastery on our way to North Sikkim and at that time we fell in love with the surroundings. Phodong Monastery stands at a gorgeous location. You can see the surrounding hills and valley from the large courtyard of the monastery. We arrived a day earlier and settled in our cosy homestay. We could hear the sound of the cymbals from the monastery. Prayers and offerings were taking place there. The dance was on the next day. Tashi, who was our guide at Phodong told us to get ready early in the morning and reach the monastery by 7 AM. So the next morning we were ready and reached the monastery early. The place was crowded. A lot of local people had visited the monastery that day for the Kagyed dance. The atmosphere was electrifying. 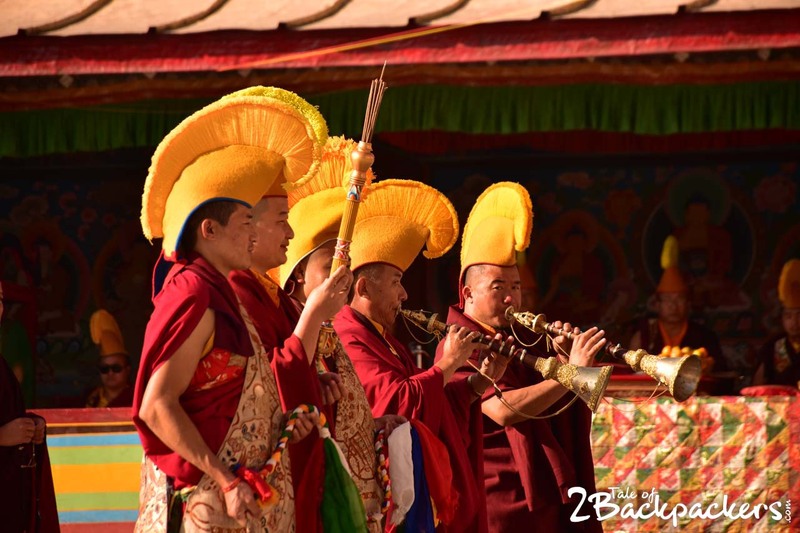 We could hear the sound of drums and chanting of the lamas from a distance. The monks were getting ready inside the monastery for the Chham. And we looked for a proper place so that we could take the perfect photographs! There was a huge idol made from wood, flour and paper. It was a huge demonic face. We heard that at the end of the day, it would be burnt down. But at that moment, the Bhutias were giving offerings in front of the idol. 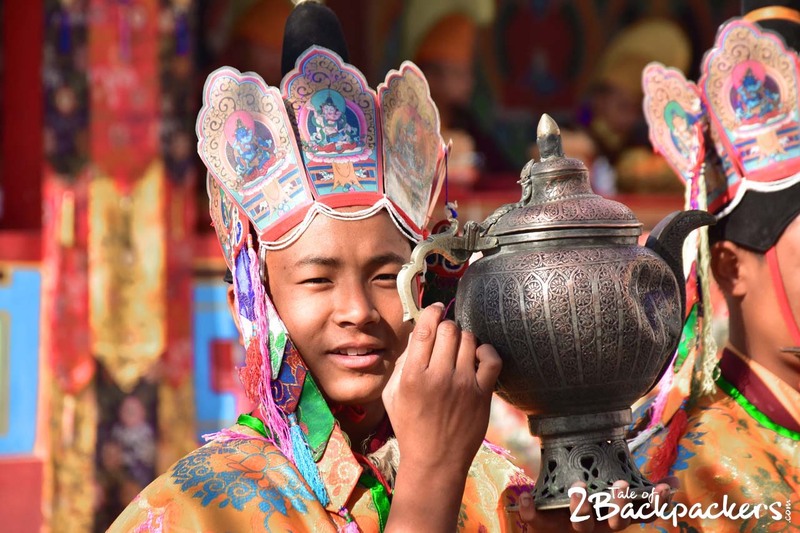 The Kagyed Chham is observed with offering prayers followed by the ritualistic Lama Dance in order to impress the Kagyed deities (remember, the eight deities I mentioned) so that they protect the people from the evil spirit, natural calamities and diseases. Also, they seek the blessings of the deities for a prosperous year and good health. 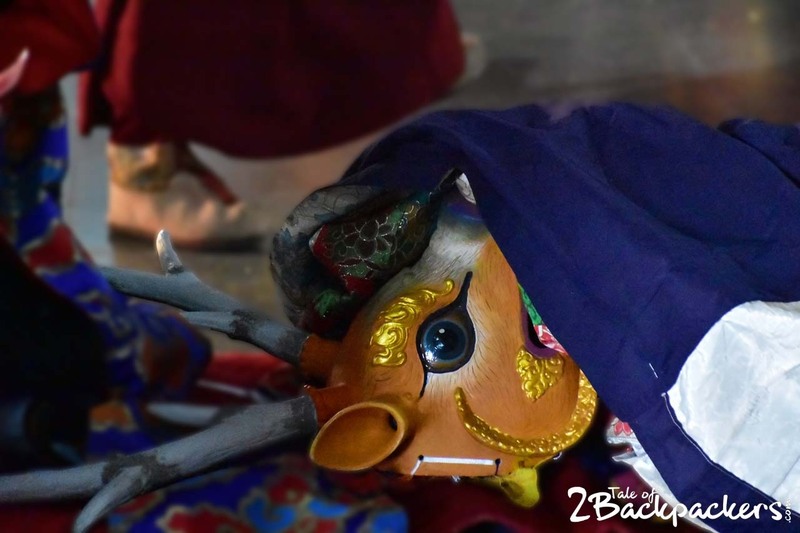 Different masked dances other than Kagyed Chham are also held each having different significance. 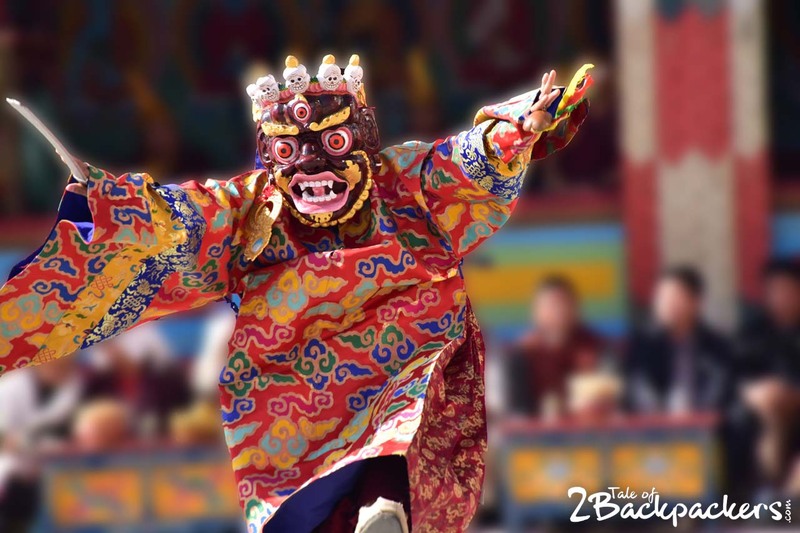 These dances are usually known as Rolchham (Cymbal Dance), Tshamche (Animal headed mask dances), Shyak (Dances of horned animals), Namding (Dances of winged birds/animals), Dhur Chhams (Skeleton dances), Shanag (Black Hat Dances) among many others. 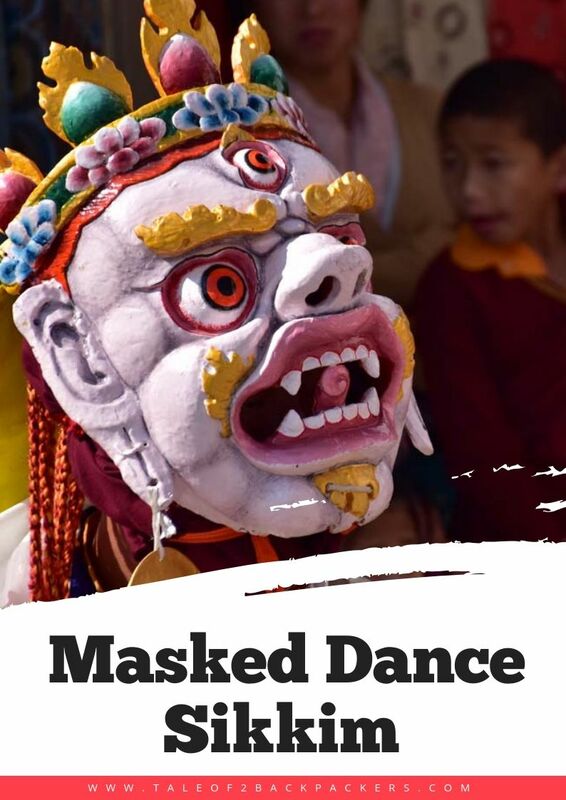 The dancers wear colourful wooden masks, elaborate costumes and dance to the beat of drums and cymbals – no doubt a spectacle to watch. The Buddhists believe that after death the soul does not immediately take rebirth. It remains in the transitional state for some time and during this time they come across various deities. During their lifetime, if they had watched Kagyed Chham and Gutor Chham, it becomes easier for them to recognize the deities. They will then know which deities to follow after death and thus they will be able to select the right path for taking new birth. In Kagyed Chham, the Shay Tho deities are seen. Here too, the dancers pay respect to the Mahakaal and Kanchenjunga deities just like we saw at the Pang Lhabsol festival. Shay means peaceful deities and Tho are the wrathful deities. 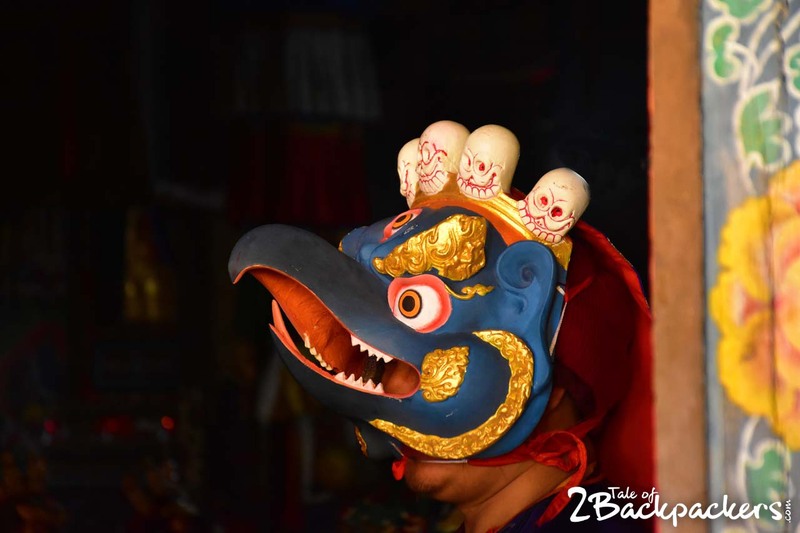 As per Tantric Buddhism, there are 42 peaceful deities and 58 wrathful deities represented by the animals during the Chham. After death, the soul comes across these Shay-Tho deities. Among the animal-masked dances, one was particularly very powerful. We stood mesmerised seeing the performance. It was the Deer dance. Sha Wa (deer) is one of the wrathful deities and has a special place. 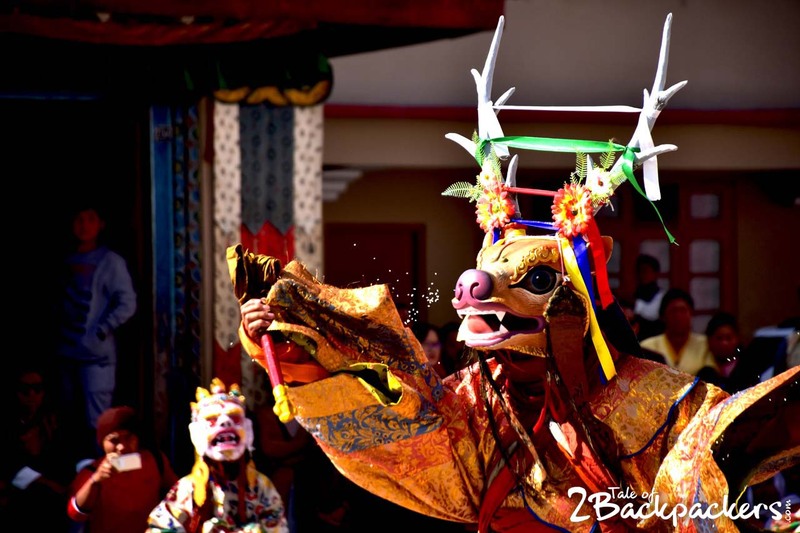 The ShaWaChham (deer dance) is a powerful dance and is accepted as the male protector deity. The dance is full of strong movements. During the dance, the dancer cuts in pieces an effigy that is the symbol of evil. The effigy is known as ‘Linga’ also known as Atsar. 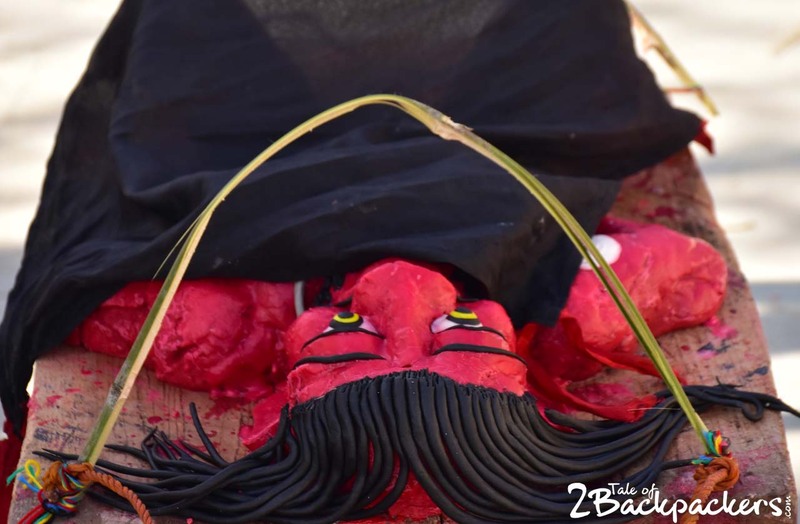 It is a red coloured effigy of the evil that is laid on the ground. 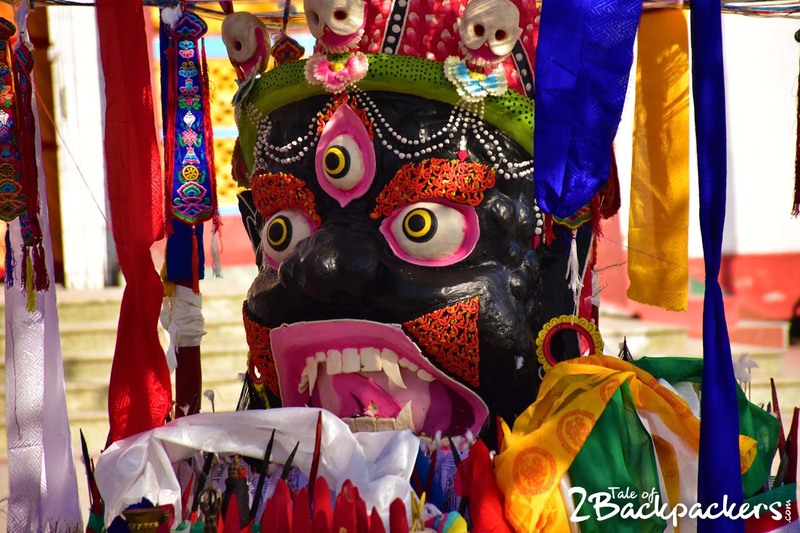 The Bhutias believe that Linga is the evil spirit and destroyer of Buddhism. The dancer, at the end of the dance, cuts the Linga into several pieces and throws them away. It symbolizes overpowering the evil spirit and liberation of the evil forces from the cycle of life and death. Naturally, the dance requires much stamina, concentration and meditation. The dance is usually performed by the head dancer, also known as Champon. The Sha Wa dance is really electrifying. 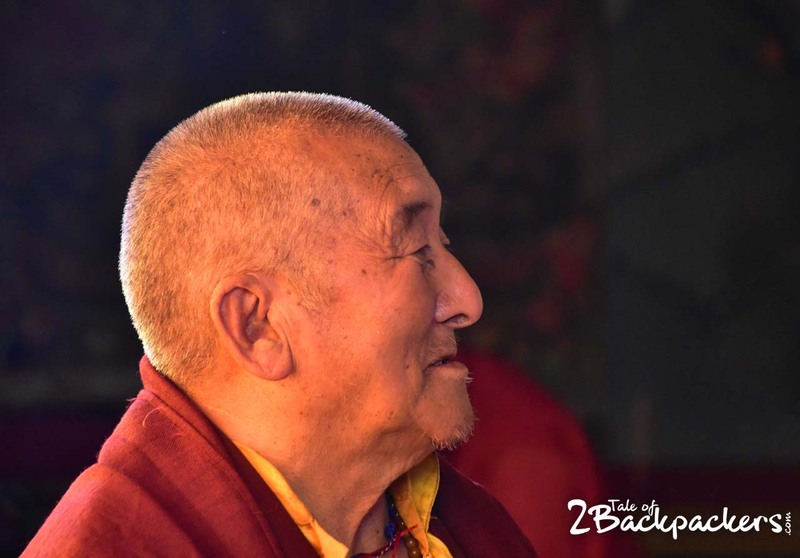 We could understand that a great deal of meditation and discipline is required for such a performance. When the Champon throws the pieces of Linga in the air, the crowd cheers loudly. And we kept on looking at him with awe mixed with respect. 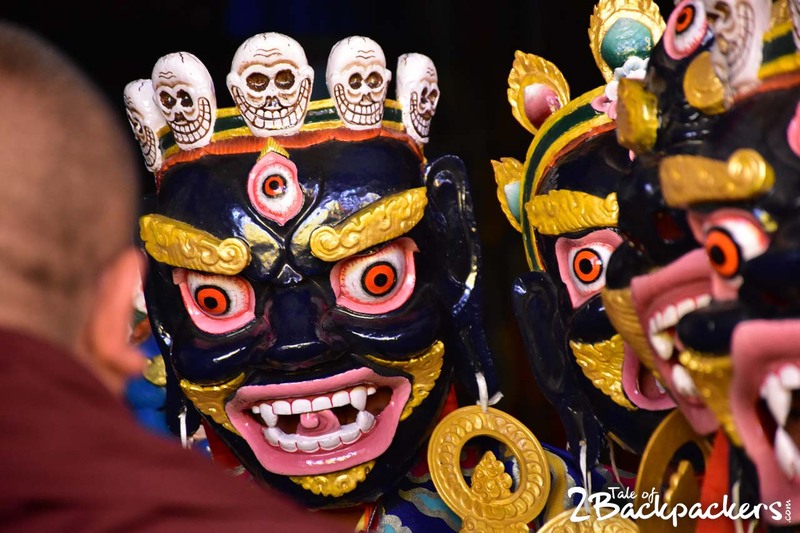 The Black Hat dance is the tantric dance that commemorates the Buddhists triumph over its enemies. 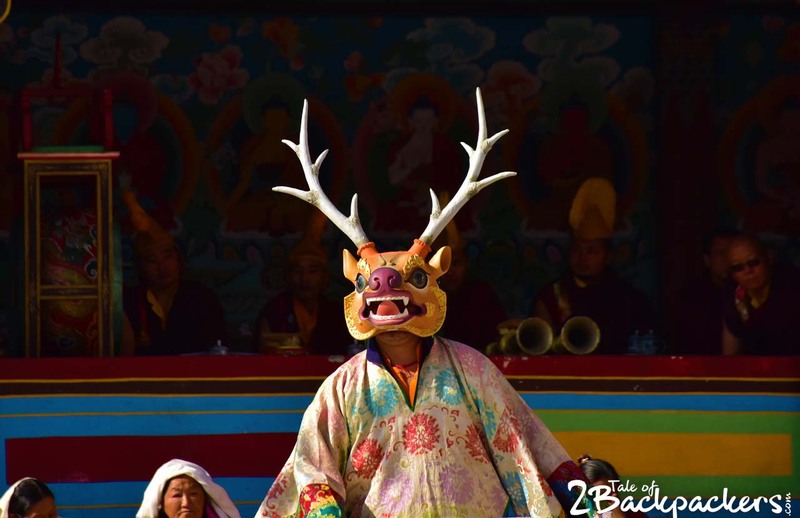 The dance dispels bad spirits and defends the dharma. The big round hats worn by the dancers have special significance. Each hat represents our world. The dome of the hat represents Mt. Meru, the pivot of the world. The dancers were heavy brocaded costumes of silk. The skull emblems denote the ephemeral nature of life. These dancers do not wear a mask. They move in a slow clockwise circle. 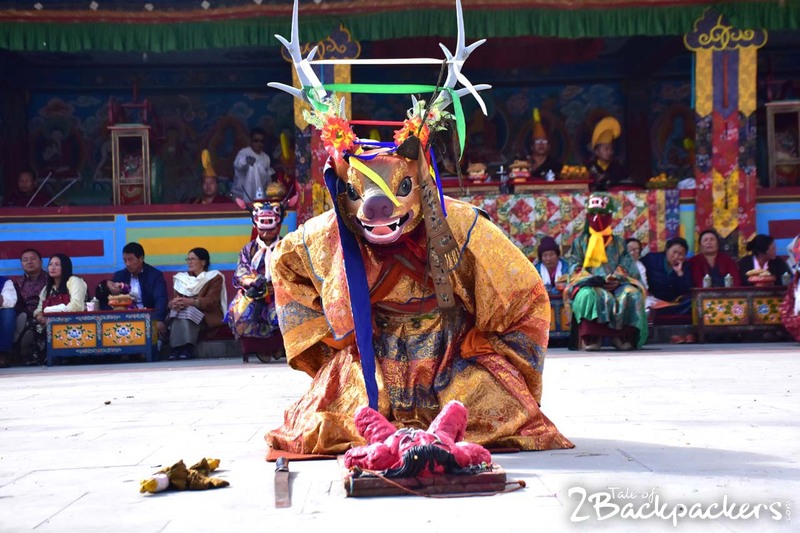 In this dance too, there is the main dancer, probably a lama of higher echelon who gives offerings eight times. Black Hat Dance – do they don Black Hats?? These dances are quite serious in nature, but some jesters perform in between to provide comic relief and to lighten the atmosphere. These jesters can irritate the people a lot. At the end of the dance, the huge demonic idol is carried and burnt. 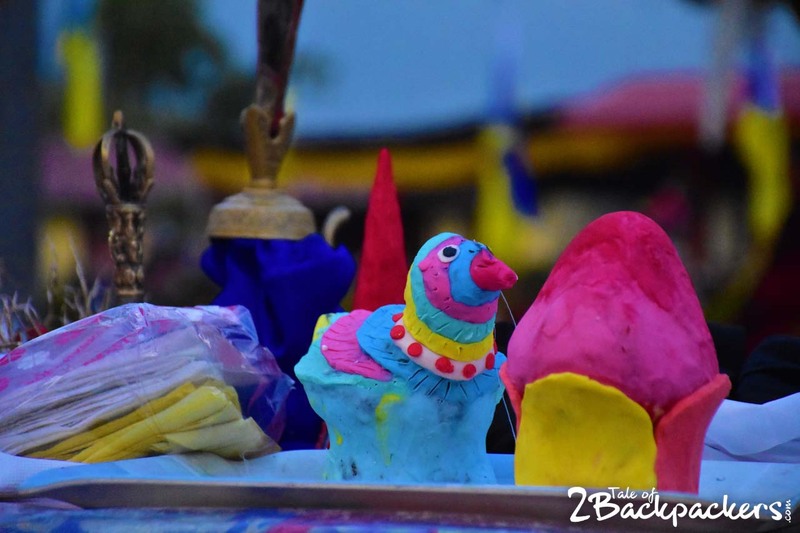 When I asked a Lama about it, he said that the ritual is similar to the burning of Raavan during Dussehra. The evil forces are defeated and burnt down. 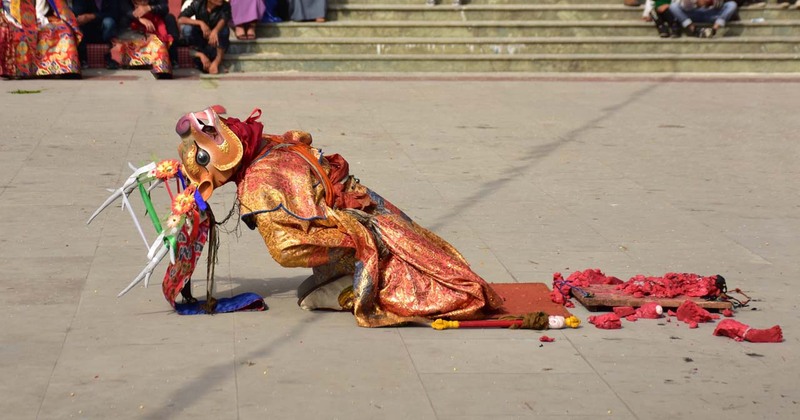 After the end of the dance, the rituals continue and the monks continue their prayers and offerings. And we come back silently to our homestay with the memory of such the Kagyed Dance. 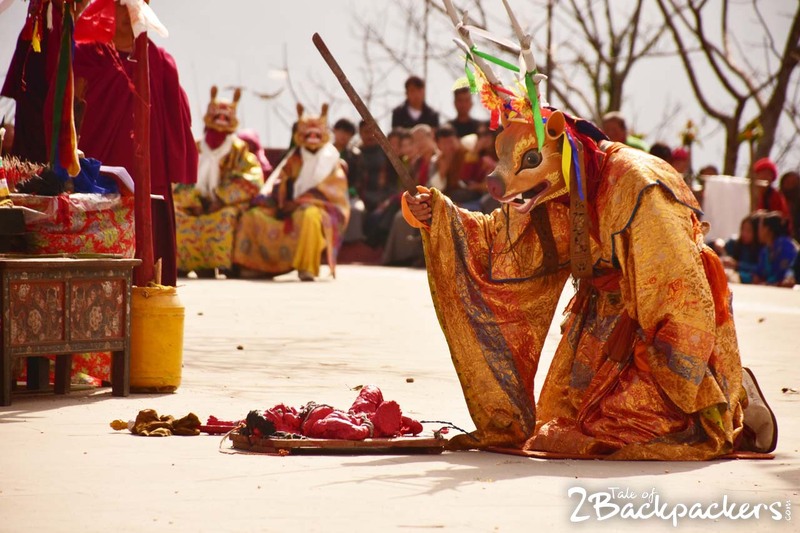 During the Kagyed Dance and Losoong, a small fair is held by the Phodong Monastery. Local fares are sold and you will get some good local food there. It is not very big, but a great place for the locals to mingle and enjoy. Phodong is located about 38 km from Gangtok. It is a beautiful village with lovely landscape. 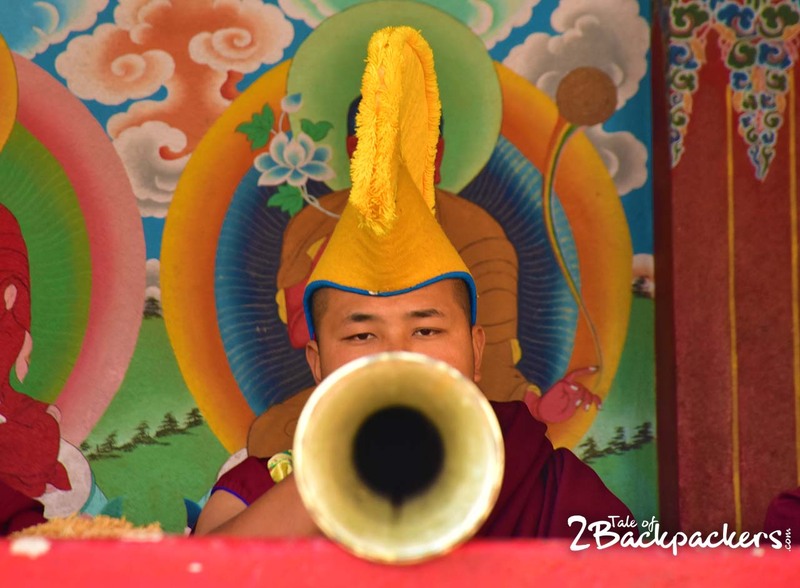 The Phodong Monastery and Labrang Monastery are nearby. Phodong Monastery was built in the 18th century belonging to the Kargyupa sect. The monastery was destroyed in an earthquake and was rebuilt again. It contains ancient murals and frescoes. Labrang Monastery is located atop a hillock. It has a unique architecture with rich frescoes. 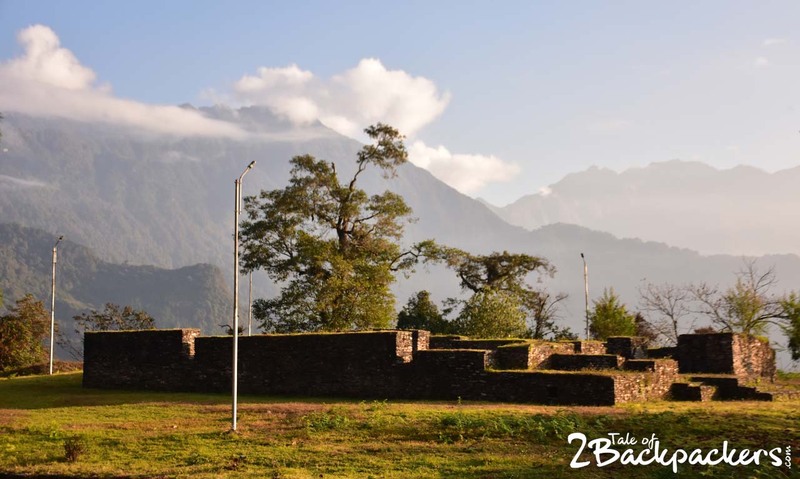 Between the Phodong Monastery and Labrang Monastery lie the ruins of the third capital of Sikkim at Tumlong, before it was shifted to Gangtok. The first capital was at Yuksomand the second one was at Rabdentse. Phodong is 38 km from Gangtok. 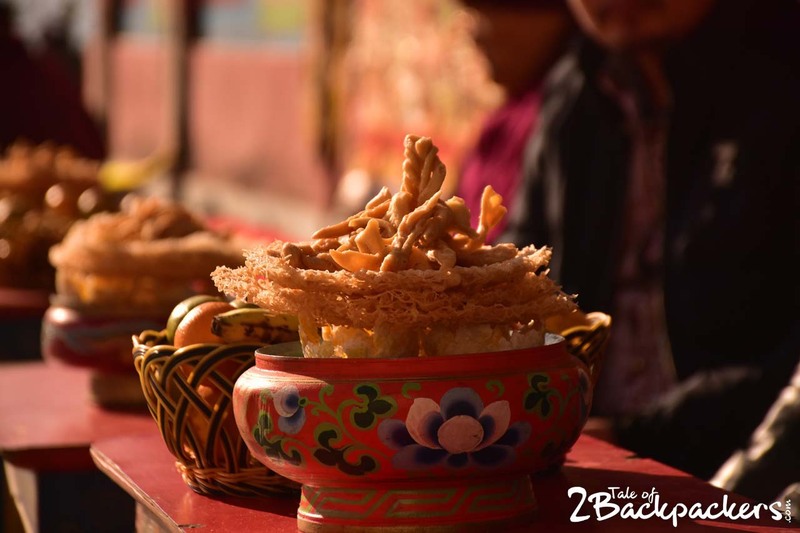 Shared sumos are available from Vajra Stand in Gangtok towards Phodong. 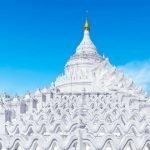 You can also hire a car to reach Phodong. Phodong does not get much tourist influx. 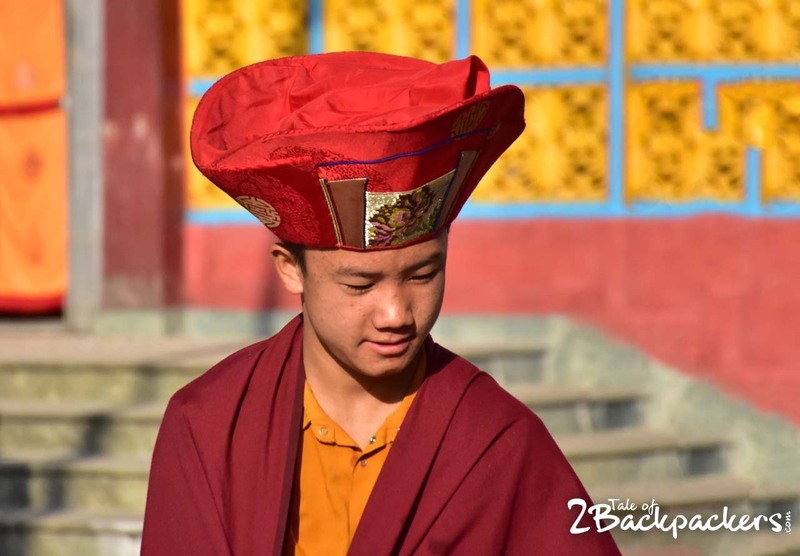 Tourists usually stop at the monastery on their trip to North Sikkim. So you will get very few hotels and homestays there. 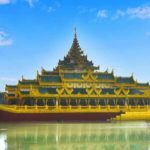 Accommodation facilities are also available at the Phodong Monastery. 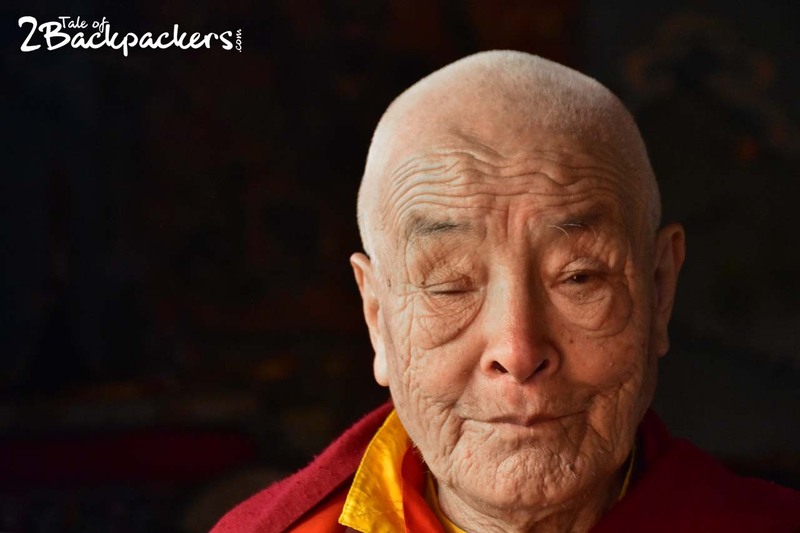 But during the festival, it is difficult to get accommodation at the monastery. 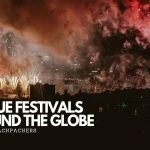 The hotels, however, will be available as mostly locals visit the place during the festival. 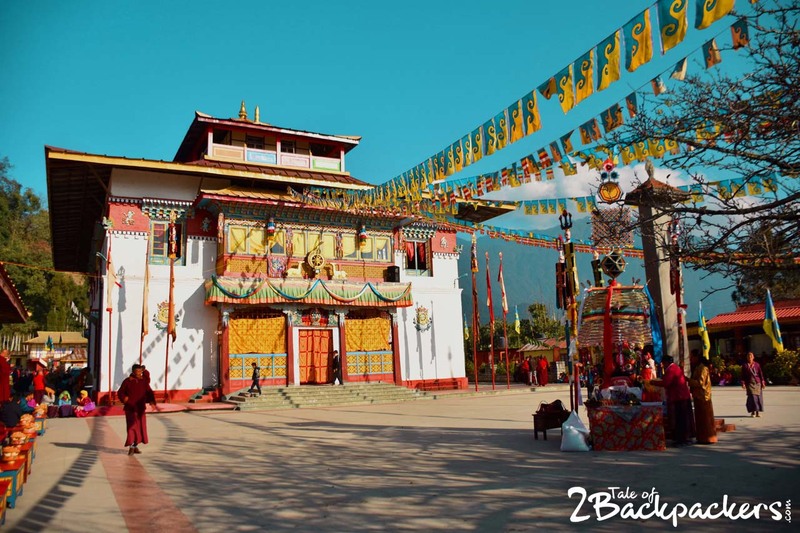 Remember: Permit is required to visit North Sikkim (Read about : ILP PROCEDURE IN NORTHEAST INDIA). If you want to visit only Phodong, then you can reach there and submit the copies of your ID at the Phodong Police Station. That is what we did. 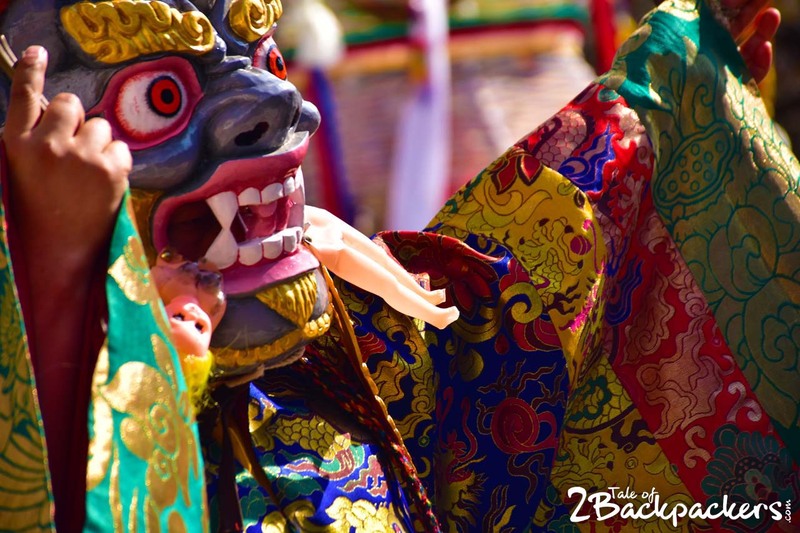 Read our Gangtok Guide and Sikkim travel Guide to know more. Would you like to see a few more pictures of Kagyed Dance? To be old and wise, you must first have to be young and stupid! 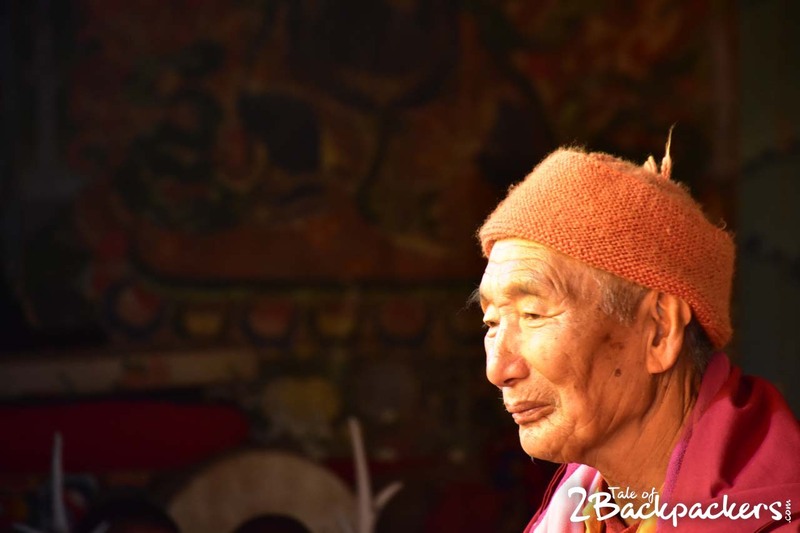 We visited Phodong to exclusively watch the Kagyed Dance and were humbled by the hospitality of the monks of the Phodong Monastery. 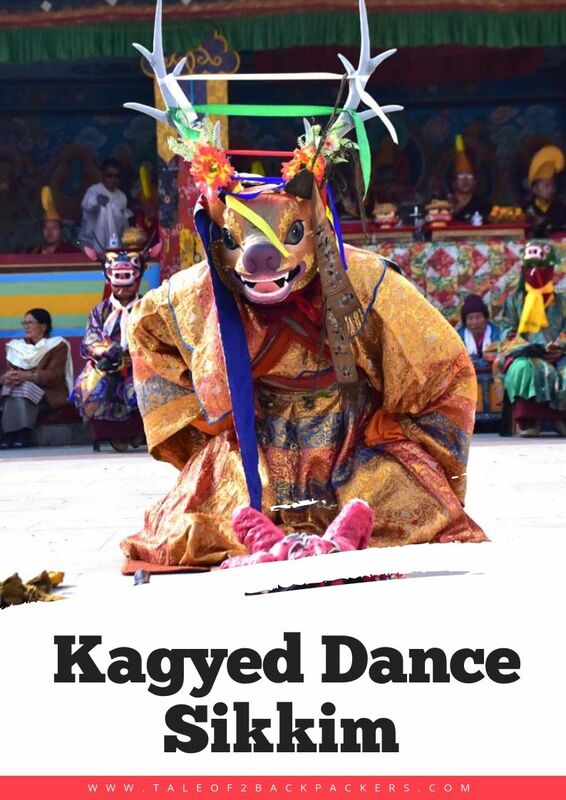 We got the facts about Kagyed dance from a few locals who were gracious enough to share these. 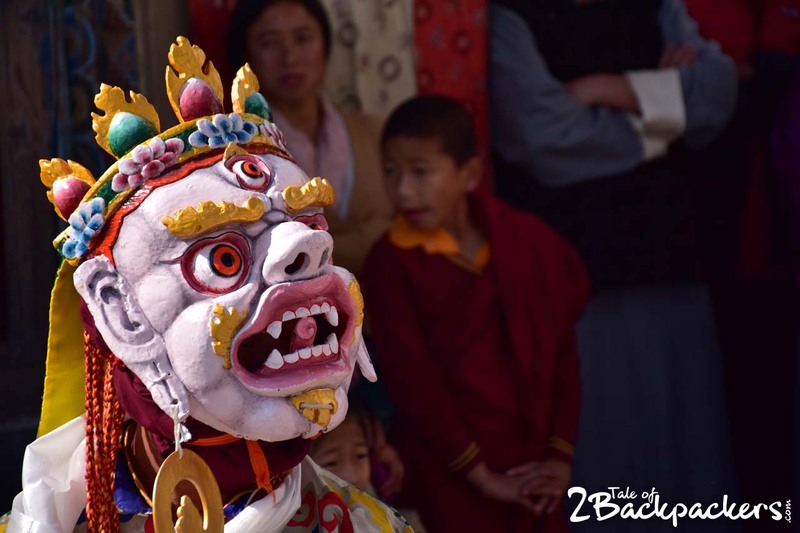 Let us know about your thoughts on Kagyed Dance (Chham) and Phodong Monastery. Do tell us if you have attended any such spectacular occasion in other parts of India. Please show us some love by sharing and commenting on the post. 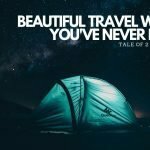 To know more about our travel stories follow us at @taleof2backpackers on Instagram. Thank you, Jayashree! Even Pang Lhabsol was a unique experience. 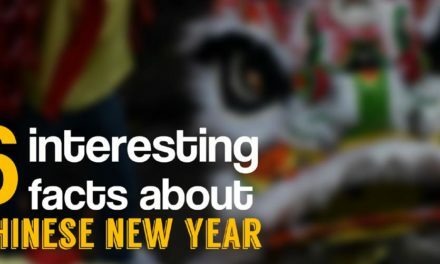 You inspire me to start looking for local festivals or traditional events and travel just to experience them! 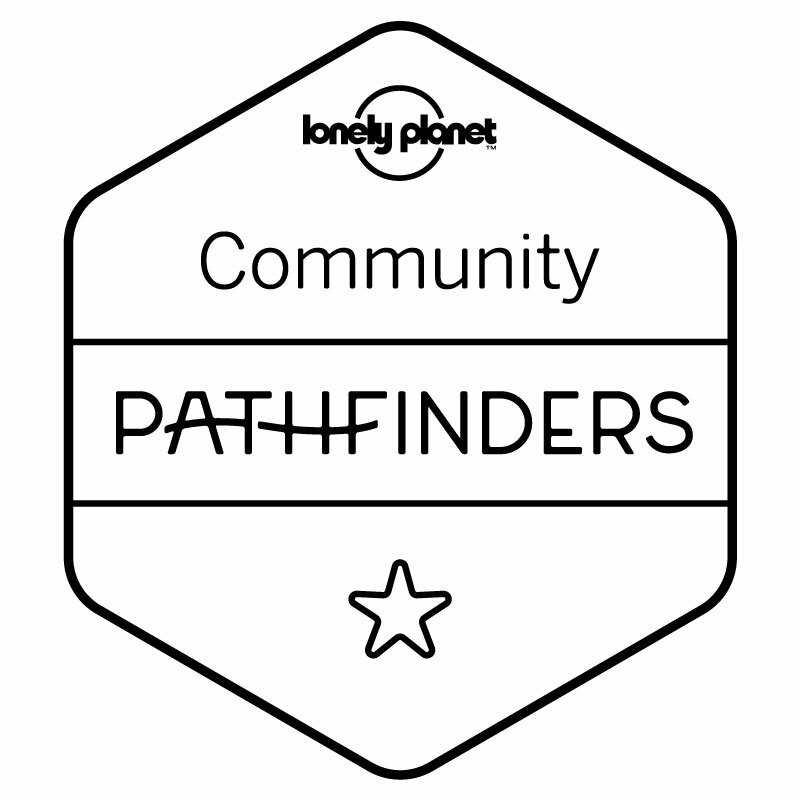 This is a wonderful post highlighting both an overlooked place and a one of a kind experience. Thank you for sharing your travels through Phodong. Thank you, Yara! We absolutely love the local festivals. I love your photos here, they’re so colourful and show off well the festivities. I’ve never heard of this place or the dance, so was really fascinated by this post. 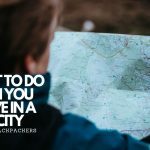 It’s always great to read about lesser known places, it’s more interesting! Another splendid story from your kitty, I love the pictures in this post more than anything. 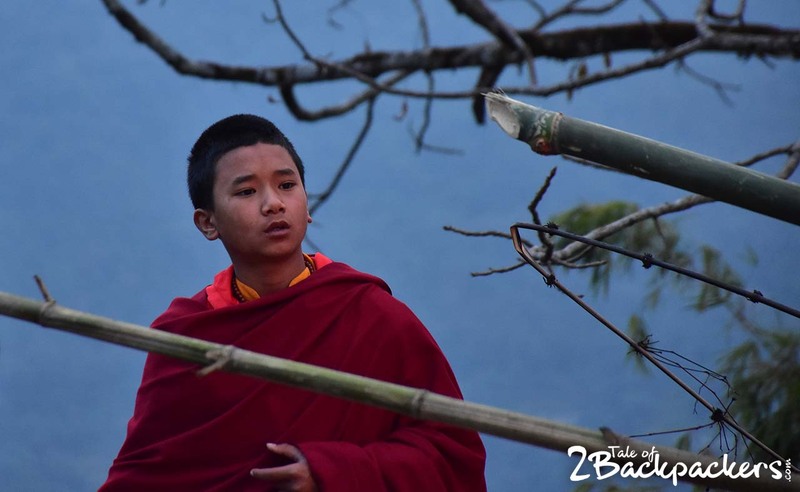 Reading this makes me want to go to Sikkim. Will keep a note of it and of possible would love to visit for the festival.